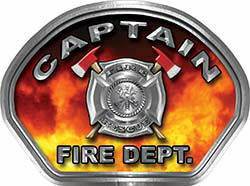 Reflective Captain Firefighter Fire Helmet Crescent Decals from Weston Ink. 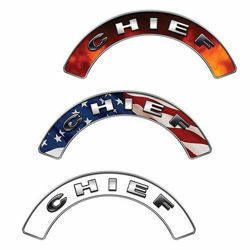 Make your Firefighter, EMS or Rescue Helmet stand out with this unique Helmet Rocker / Arc set. Our new 7 Color translucent ink process makes all of the color of this graphic reflect. 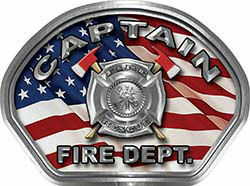 Our entire department I was on has these on all the helmets and they make it look like a unique team and stand out where ever you are. 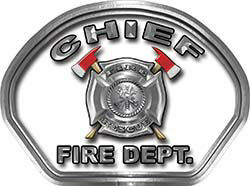 When on the scene the reflective properties go into action and provide great safety and when in training or special events they look great and make your helmet unique from the rest. Along with these we have face decals, markers and tetrahedrons to match. 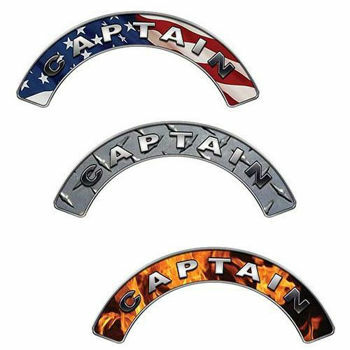 If you want to go further check out our reflective lettering and numbering to add an additional personal touch to each one. We also have Custom Options to add any text you would like.